End of the 3rd age. Evil has been defeated. The great battle of all time is over. While the returned king Aragorn and his army, the white wizard Gandalf, the Rohirrims and the Elves, all distracted Sauron – the source of all evil, Frodo and Sam managed to destroy the ring of power. 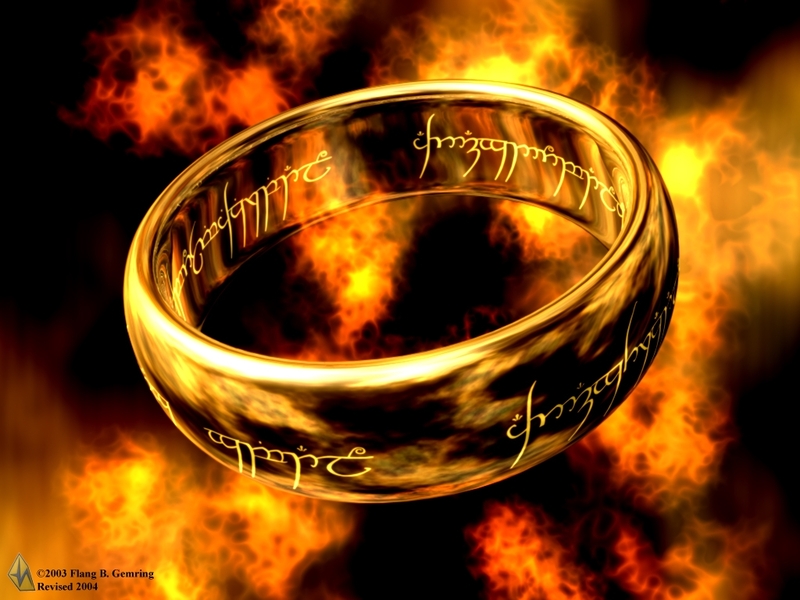 The one ring that since its creation had tormented the world. And that was it, that was the victory of ‘the West’ in the 3rd Age. When our heroes sail away to immortality, and leave Middle-Earth with most of the elves, the 3rd age ends and the 4th begins – the ‘age of men’. I think we too have a 4th age, but ours is not the same as J.R.R.Tolkien‘s. Delving into this fabricated historical account, after 1000 pages of it, I didn’t want to come back. I was maybe 12 years old when I found ‘The Hobbit’ at my neighbors’ house, having ‘raided’ their library as was my habit. I was supposed to be babysitting (in my defense – the baby was sleeping). Instead I read the book without stopping to take a breath. The next day I searched for the trilogy that followed the ‘Hobbit’, and bought it with my saved-up pocket money. I returned to that world many times, cover-to-cover-to-cover… and there’s always this emptiness when I reach the end. All is good and nice in the world. What happens next? Tolkien tells us a bit of what happens next, and it’s strangely sad. The destruction of the ring brings about the end of the 3rd age, and then he summarizes some events from the 4th. Most books don’t ‘prolong the end’; they just end where they end, or add a short epilogue. Going on and on is just not right, unless you have a new tale to tell about what happened later. I always viewed the world created by Tolkien as fictional, as are usually all fantasy lands. None of them claim to be taking place on Earth. But Tolkien was the first to create such fantasy; there were no pre-existing rules or examples to follow. It seems that he thought of his work as possibly an alternative history, and all the detail and all the realism of the linguistic evolution he put into it, are supposed to describe a complete possible chapter in Earth’s history, before the rise of the known civilizations. Maybe that’s why he felt compelled to continue the tale. Because history doesn’t just end. He wanted to tie it to us. Tolkien was very careful not to tie the dating of his ‘ages’ to actual Earth dates, to avoid issues of conflicting events. But fans and followers, obsessed with this work, calculated the specific Earth dates that would match. Thus the 3rd age is determined to begin around 6000 BC, and the 4th begins around 3000 BC. He never gave clues as to when the 4th age ends, but made vague comments, maybe for the sake of the speculators, that it did end, and a couple more ages followed. It seems he didn’t really care about that. Despite all this, going back and experiencing this world again, by either reading the books or watching the Lord Of The Rings movie trilogy (which deserves every Oscar received and every nomination! ), my preference is to see this as a story of a different world, where the 4th age is still in effect. For us too, the 4th age has not reached conclusion. 4th age – Adolescence: 1500 AD – 3000 AD – From the start of the scientific revolution, in which “superstition and fear were replaced by reason and knowledge”, to the time when we are done sorting out disputes over land, religion, ethnicity and gender; and reach a utopian society as is described by Captain Jean-Luc Picard to have occurred in the 24th century. [I think it will take much longer, so I’m dating it at the end of this millenium]. I’m infinitely curious about the 5th age, but care about the 4th infinitely more. I wonder if I may share a find of mine that may be troubling to some mind but I find you’re a bit more on the minded side. I can prove there is no known at all but a lot of ideas based on ideas not yet proven right or wrong until all life itself is through. Whether known or idea, is a matter of definition; but when life is through, who will be there to judge, to know, or to think they know? Life can end. Especially intelligent life. You would agree if one day, due to some catastrophe, all intelligent life except you was wiped out, and life on Earth was reduced to the small critters from whence we came.